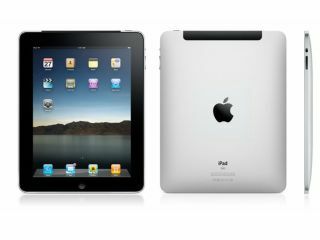 Apple still owns a whopping 95 per cent of the tablet PC market with the iPad, according to latest market research. The news is hardly a surprise, with only a handful of other tablet PCs already available on the market. A Dutch company recently launched a Windows 7 tablet PC in Europe, while Samsung has recently launched the 7-inch Galaxy Tab in the UK. All of this aside, Apple still dominates the tablet PC market worldwide with the iPad, though analysts are claiming that this could well change drastically in the next few months, with a number of new Android-based tablet PCs expected to arrive before Christmas. The new study by Strategy Analytics Inc. also notes that overall tablet PC shipments rose 26 per cent in the third quarter of 2010 when compared with the previous quarter. Android OS tablets currently represent a mere 2 per cent of global tablet shipments. New tablet PCs are on the way soon from the likes of Hewlett Packard, ViewSonic and Research in Motion, which should shake up the market a little. Overall sales of tablet PCs are expected to triple to 54.8 million units in 2011, according to Gartner.